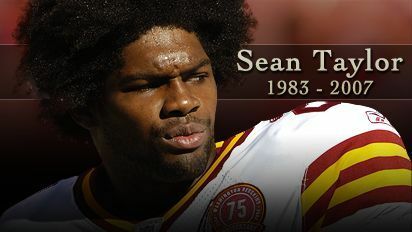 A South Florida jury has convicted a 23-year-old man of second-degree murder in the 2007 killing of Washington Redskins star Sean Taylor during a botched home burglary. The jury reached its verdict after deliberating about 16 hours over several days in the case of Eric Rivera Jr.
Rivera was also convicted of armed burglary. Rivera told police in a videotaped confession he shot Taylor when the Pro Bowl safety confronted a group of young men who broke into his house near Miami. At trial, Rivera testified the confession was improperly coerced and insisted he never went inside. Rivera sought to blame the slaying on another would-be burglar. Four other young men were charged, with one pleading guilty. The others face trial later.